My brother and I go out for lunch most week days; thankfully, we have a slew of restaurants to choose from. However, we still find ourselves in a dining rut. We have our favorites, but we fear getting burnt out on them so we try to mix it up best we can. 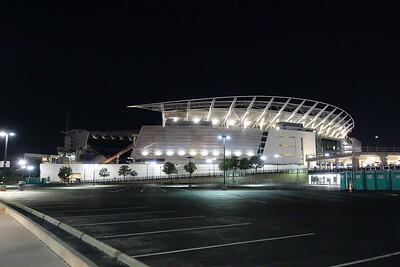 Komex (Buffalo location) is a top pick, because I've never had anything bad, the service is always friendly and the prices are quite reasonable. Right next door is Off the Hook we've walked by dozens of times, but never stopped inside. Fish and chips aren't typically what I crave so honestly I had given it much thought, but eventually curiosity got the best of me. I took a look at the menu and much to my surprise they also serve fish tacos. 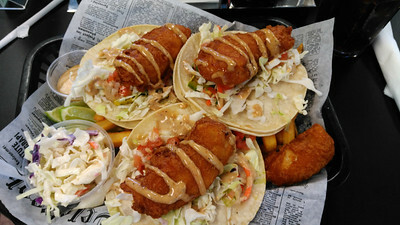 I do very much enjoy fish tacos, especially the fried variety. I love the crunch, the warm fish on the cool bed of cabbage. They also have chicken tenders on the menu, so Mike was on board to give Off the Hook a try. Our server was friendly and since it wasn't too busy he gave us just the right amount of attention - keeping drinks full, etc. We were pleased to find a lunch menu that discounted the Thai fish tacos ($9.99) and the tenders ($9.99) for a couple bucks less than the standard menu pricing. Our lunch was served piping hot with a full basket of fries. 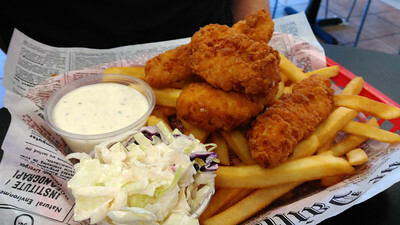 Both the fish and the chicken were tender, the breading was crispy and not overly greasy. The thai sauce that was drizzled over the tacos had a wee kick and a bit of sweetness. Though, I prefer a more traditional fish taco. I did enjoy this twist. Overall, we agreed it was a nice change of pace. 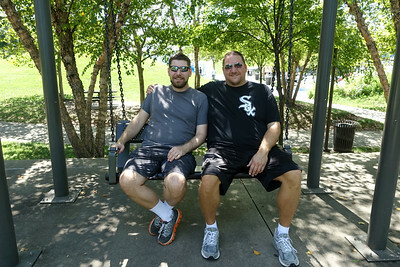 Last month, we took a trip to visit Frank's brother. 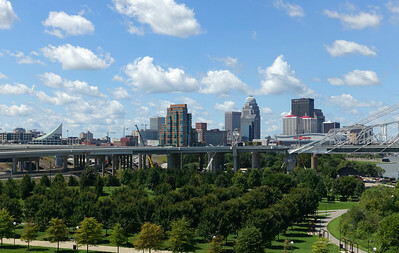 We snagged great airfare on Frontier to Cincinnati, rented a car and drove down to Louisville. This was our second time visiting Bob & Hugh, but they've since moved from the country into the heart of Louisville. They've gutted and completely remodeled their house, and it looks fantastic. 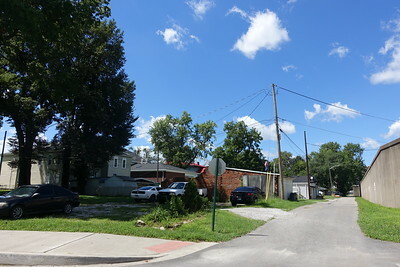 Their neighborhood has prime location - everything is no more than 15 minutes away. 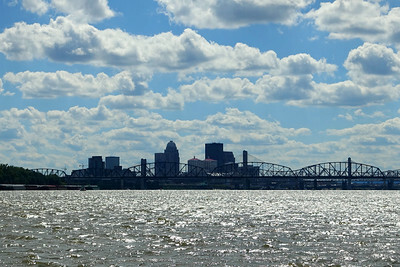 Our last visit was during the dead of winter when Louisville happened to have an unusually frigid spell. A stormed dumped several inches a snow prior to our arrival too. Needless to say, the weather was less than ideal last time. This trip, though, was perfection. Not too hot, humid or cold; there was a little rain, but mostly sunny skies. Deals on Frontier often come with some sort of catch and this was no exception. Our flight to Cincinnati was a red-eye. Hertz was one of the few car rentals open at that hour, so we were unable to competitively shop, but I did secure a good rate on an economy vehicle. Unfortunately, Frank did not fit in the Ford Focus that was assigned to us. We had to spend a bit more to upgrade to an Impala. At least, the ride was smooth and very roomy. 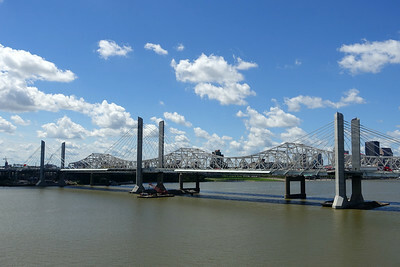 Traffic was non-existent; we made it to Louisville in just over an hour. We were exhausted since neither of us caught a wink on the plane, but before we napped we wanted food. Bob suggested we go to Con Huevos. They weren't open yet, but we went to Please & Thank You. 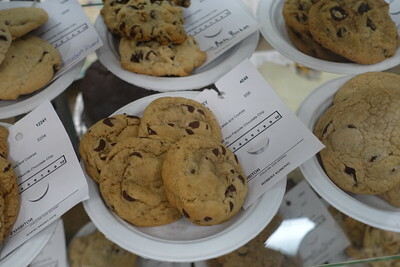 The guys all had coffee and I opted for their delicious chocolate chip cookie. It did not disappoint. Frank's iced coffee was made with sparkling water, a twist I hadn't encountered before. 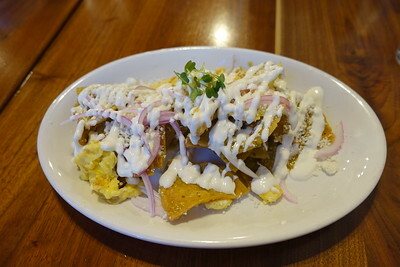 Breakfast at Con Huevos was an excellent The Chilaquiles were an easy choice and they hit the spot. 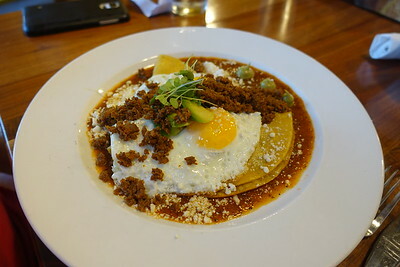 Frank also enjoyed his huevos rancheros topped with chorizo. I did a terrible job of documenting the rest of our meals. In fact, these are the only two food photos I snapped. I suppose we were too busy enjoying conversation or too eager to dig in - I didn't even give it a thought until I uploaded the photos. I had to laugh because it's very unlike me. Anyhow, after a nap, we were refreshed and ready to take on the town. We decided to begin with a pub crawl of sorts, the first stop was Great Flood Brewing Company. They were hosting a couple of rugby teams so it was a bit loud and rowdy. After one round, we opted to Uber to Monnik Beer Company. 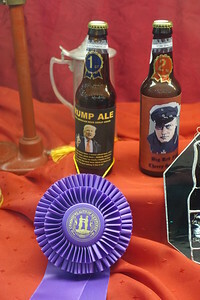 It was more subdued and they had some outstanding brews. The Saison and the Coffee IPA were my favorites. When hunger struck we moseyed over to The Silver Dollar. There was a wait for a table so we bellied up to the bar to pass the time. They are known for craft cocktails so rather than going straight to beer, I wanted to try something new. I was overwhelmed by the options, since I'm not really into liquor... so, I played the part of the annoying customer. I asked the bartender to suggest something that didn't have that overpowering liquor taste, but also something that wasn't sweet. Fortunately, he didn't seem to mind my cluelessness and he whipped up something with mezcal. I haven't a clue of what was in it, but it was mighty tasty. Meanwhile, we moved over to the dining room. The menu has mostly southern dishes, but with a Californian honky tonk flair. Sounds weird, right? It is, but in the best way. It's one of those things you must experience. The service, food and drinks were equally matched. It was a great time. The brisket was good, not Texas good, but tasty nonetheless. As we were headed out from dinner the skies opened up, we took it as a sign to retire back to the house. We had beers on the porch, chatted a bunch and made plans for Bob and Hugh to visit us for Thanksgiving. Plane tickets reserved, and all. The next morning, we had a yummy breakfast at the house and then headed out for the day to play tourist. 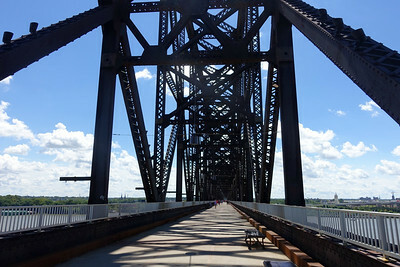 Ever since I conquered my fear of bridges, I've been rather fascinated by them. 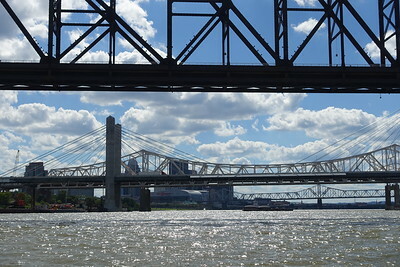 When I learned of the pedestrian bridge that spans the Ohio River I knew it was something I wanted to check out. 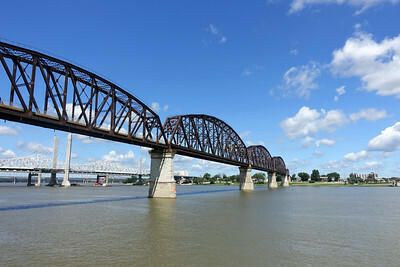 The Big Four Bridge is a former railroad truss bridge that connects Louisville, KY to Jeffersonville, IN. 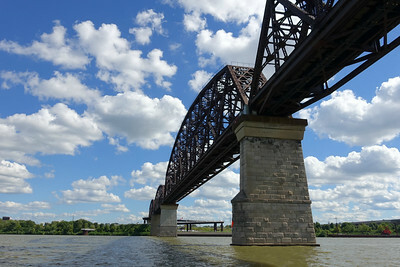 We walked over to Indiana, strolled around Jeffersonville before heading back to Kentucky. It was interesting to see so many homes on the wrong side of the flood walls... I can't imagine what flood insurance premiums must be. 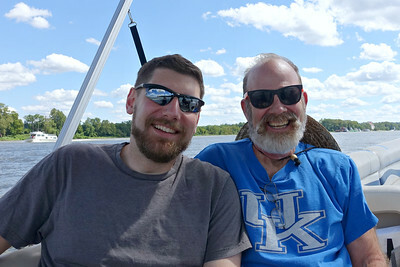 Next, we rented a pontoon boat for a couple hours to see the sights along the river. Before our reservation, we ran over to Lotsa Pasta to pick up cheese, salads and sandwiches for a picnic on the boat. It's such a great specialty store, I wanted one of everything! 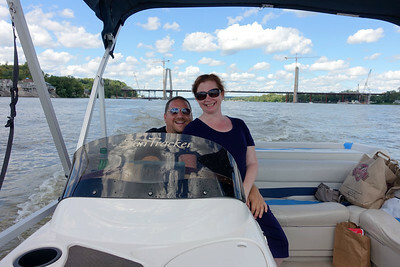 We really enjoyed ourselves on the boat, it was such a lovely afternoon. 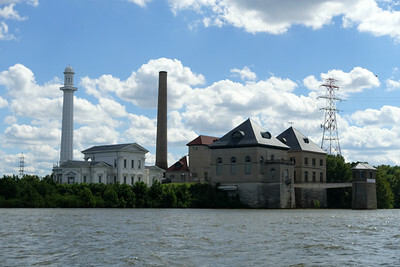 We rode down the river just past the East End Crossing Project. 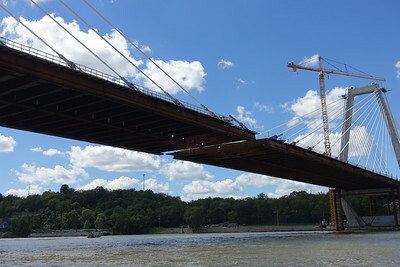 The bridge is nearly complete; when done it will alleviate a lot of commuter traffic from downtown Louisville. 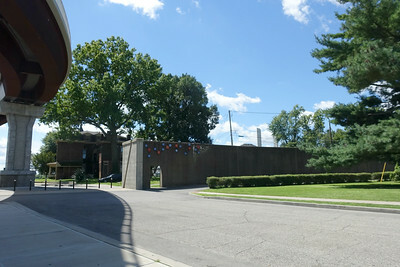 We went by the Louisville Water Tower which is older than the one in Chicago. 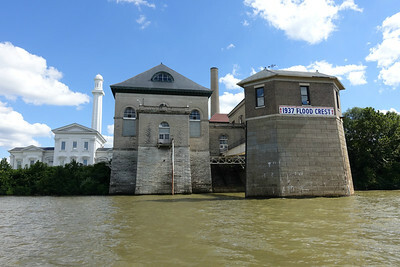 The Pumping Station recorded the 1937 flood crest, it's hard to imagine the flood waters being that high. A stop at Sergio's World of Beers was a must! It was conveniently located near the marina. Sergio has friends in all the right places which allows him to secure the rarest of keg offerings. Plus, coolers line the entire place and they're filled with an eclectic selection from all over the world. It's a real gem. Bud light was appropriately priced at $89, I think the Budweiser was $99. Ha! I was overwhelmed by all the choices, I wanted a sour but it was difficult to choose only one. I went with a recommendation from the bartender. 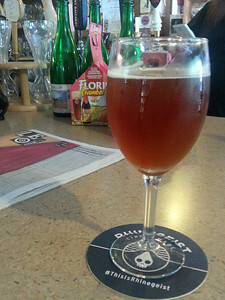 It was an outstanding sour from Brasserie des Franches-Montagnes Abbaye De Saint Bon-Chien, seriously, it was bucketlist caliber. Later, we had dinner at Ramsi's Cafe. It showcases dishes from all over, Ramsi's definitely offers something to suit any mood. I opted for the fish tacos. The breading was light and not a bit greasy. It was the first I ever had fish tacos served with cheese, but it worked. Frank was pleased with his lamb burger. 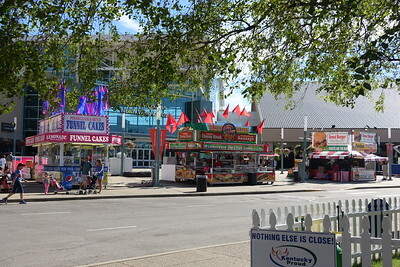 On our final day, Bob took us to the Kentucky State Fair. 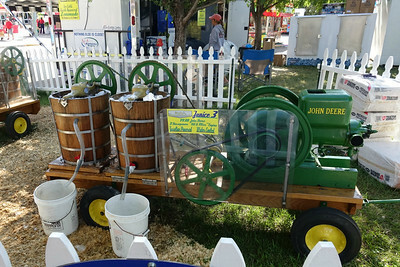 I've never been to a state fair before so it was fun to see all the entries. Especially, Bob's chocolate chip cookies. They didn't win, but he has earned a ribbon for his habaneros (2014). 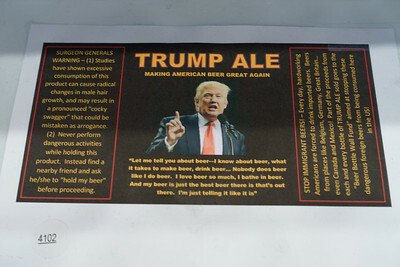 Trump may not win the election, but Trump Ale did secure a blue ribbon, Bwhahaha. After the fair, we had lunch at The Post. They have large pizza slices for only a few bucks that were pretty good, but it was the stromboli that was amazing! It was huge too, easily 2-3 meals worth. Dinner that night was at Bombay Grill. I'm not too familiar with Indian dishes so Bob ordered several for us to try. It was all quite good. Although, it was the cauliflower appetizer that I couldn't get enough of; oh my goodness, it was delicious. A little sweet, a little spicy and crunchy. If I'm not mistaken, it was gobi manchurian. I must seek it out at home. We had a wonderful visit, after a farewell, we were on the road headed back to Cincinnati. Our flight was scheduled to depart at 6am so I reserved a room near the airport on Hotwire. It landed us a deal at the Holiday Inn Cincinnati Airport which oddly enough is located in Erlanger, KY. Prior to this trip, I had no idea that CVG is not in Ohio. 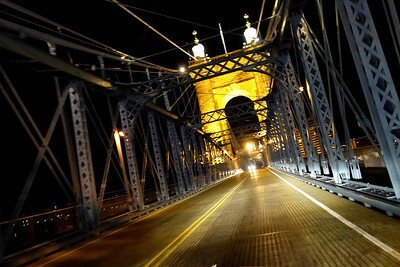 Sleep sounded heavenly, but after checking in we decided to drive into Cincinnati. We were just too close not to visit the city. We stopped inside Jack Casino to have a look around and then did a quick drive by around the sights. 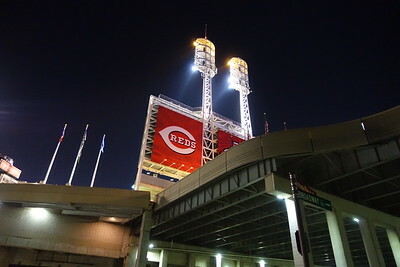 We were impressed by the John A Roebling Suspension Bridge and the area around the waterfront between the Reds and the Bengals' stadiums. Our last stop was at Skyline Chili, the lights were on, but no one took our order at the drive thru. Which might have been for the best, never did I realize that Cincinnati Chili was more of a meat sauce than chili and it's served over spaghetti. It might be the best thing ever, but it did not look the least bit appealing on the drive thru menu. 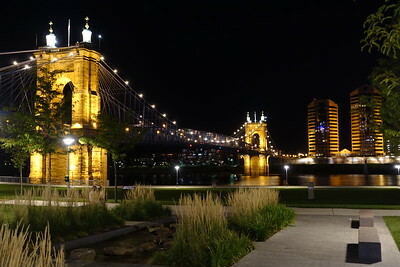 Our stay at the Holiday Inn was very comfortable and it worked out beautifully for our early flight out of CVG. I must say it's nice having time on your side when flying from EST to PST time zone, our flight arrive shortly after 7am and I was only a few minutes late for work at 7:30. 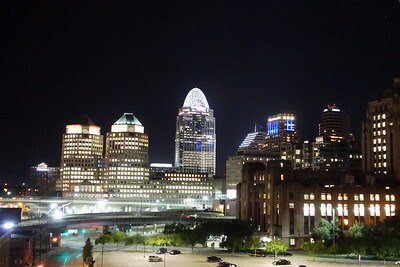 It was wild going home from work that day thinking that I woke up in Cincinnati, well, Erlanger, Kentucky. Las Vegas offers so many dining options the choices can be overwhelming - I figure the best plan is to try them all or at least as many as possible. At least that was how I thought. The past year, instead of trying the latest or greatest, I've been opting for places that are just fantastic. Before Circo closed at Bellagio, it was my favorite restaurant in the city. It's since been replaced by Sage inside Aria. Joe's at Caesars Forum shops is also a winner. And, I can honestly say that Cleo now joins the ranks of my top picks. If we talk off-strip options, the nod definitely goes to Mariscos Playa Escondido in case you were wondering. I'm not too fond of SLS, but Cleo lures me in. Again and again. 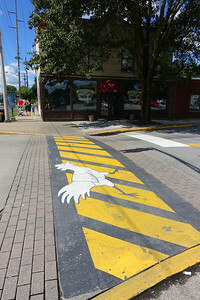 Over the summer, Cleo offered a fantastic deal for locals. It was the perfect excuse to dine with friends. Each time was superb. Frank and I have also dined together a few occasions and between all the visits, I think I've found the strongest items on the menu. I crave them nearly on a daily basis. Much of the menu is served tapas style so it's a nice fit no matter the size of my appetite. 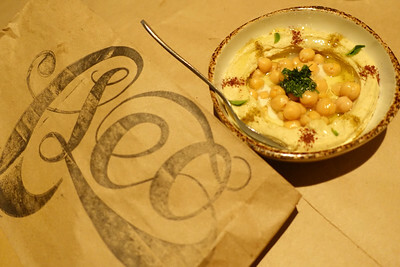 Next visit, I'll have snap some photos, but in the meantime do try the hummus ($10), lebeneh ($10), spicy cigars ($10), chopped salad ($12) brussel sprouts ($14), lamb shawarma ($9) or splurge with the garlic shrimp ($18). I could go for any or all these right about now. Yum. It's hard to believe, but it's been a year since you've been gone. Some days definitely sting worse than others, but we've made it - we've stuck together and stood strong. I think you'd be proud. I know I am. You taught us a lot, and I thought I was prepared for you to go, but there is just no way to learn to live without someone. Day by day, we get through the best we can. Boy! I'll tell you, though, it's tough to grieve and piece together someone's life after death. If I only knew, I would've asked more questions, been more patient and took more time to listen to specific details. Like who was your first boyfriend? Was it the first boy you kissed or your first relationship? Terrible security question... or, maybe, it was perfect. I'm sad that you never got to meet Lex or that you won't see Addy and Nick grow. This past year with them has been so special. I wish Mike and Amy could've gotten as much time with you as I did. I try not to be angry for the years of memories that were robbed from us; instead, I try to be appreciative of those I cherish. I know how fortunate I am that you were part of my wedding. Mike and Amy aren't so lucky. That's a gift they will never know, if they choose to marry. I hate that you won't be part of birthdays, holidays and special occasions. It may seem weird, but I feel some sense of accomplishment for surviving the last year. Day in and day out we faced the challenges and emotions of losing you. There has been much frustration and many tears. The hardest part is filling that void left in my heart. Fond memories, old stories and photos help ease the emptiness, but I doubt it will ever fade. I dig noodles. I pretty much enjoy all shapes and sizes, I suppose you'd say I like oodles of noodles. I'm familiar with Italian and Thai, but Vietnamese and Japanese are pretty great too. One that I'm rather inexperienced with is hand pulled Chinese noodles. 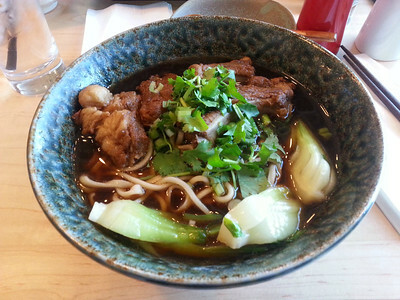 That's just what Shang Artisan Noodle specializes in, it's a new eatery at Decatur/Flamingo in the same complex as Capriotti's and Yonaka. The interior design is clean, minimalist and the focus is definitely the counter where the chef skillfully works balls of dough into layers of noodles. Service is attentive and the menu offers a few appetizers and noodles presented a few different ways. You also have your pick had hand pulled or knife cut noodles. I found it a little odd that they do not offer diet soda, but the watermelon infused water is satisfying. 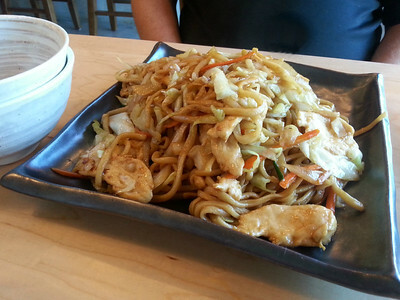 I went with the Pork Rib with Hand-pulled Noodle Soup ($8.95) and my brother opted for the Chicken Chow Mein ($7.99). Both were brought to the table piping hot, his was likely the best Chow Mein I've had, it's not typically a dish I enjoy, but fresh noodles are apparently enough to sway me. Well, that, and the flavors were clean and not too salty. The same went for my soup, the savory pork broth was almost beefy like french onion and quite fragrant from the scallions. The bok choy was perfectly tender, the noodles were al dente and scrumptious. It was a little unfortunate that the pork rib was a bit chewy. Though, still enjoyable. I'm eager to try another dish and I'll definitely check out the knife cut noodles to see how those compare. It's a great find, especially as the weather turns a bit cooler. Last weekend, we picked Nick up after a birthday party sleepover at a friend's house. 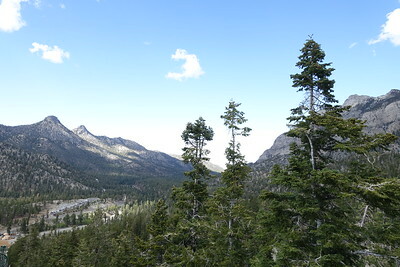 They live in Centennial which is only a couple exits from Mt Charleston, we thought it would be nice to escape the heat for a bit, enjoy nature, crisp air and whatever else unfolded. 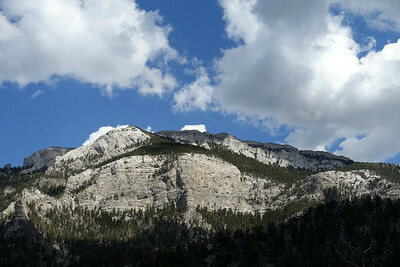 I think it's been about two years since I've been to Mt Charleston. Our last visit was definitely before the improvements. Pulling over for photo opportunities and walks to lookouts are now easier than ever with wide paved turnouts, designated parking and paved trails. We took Nick before when he was much younger, but he doesn't recall it. He's at the age, where he has little interest in things not involving video games, you tube, pokemon or music. 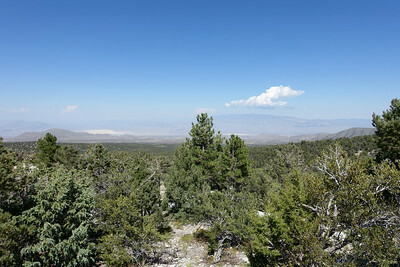 So, it was refreshing to see him enjoy time outside and he seemed to genuinely have interest in the desert once being covered by ocean, the test site and various mountain ranges. We made our best guesses at how low the temperature would go as we climbed elevation - it was about 30 degrees cooler than Vegas. It was fun to see who ended up closest - Nick, I believe. 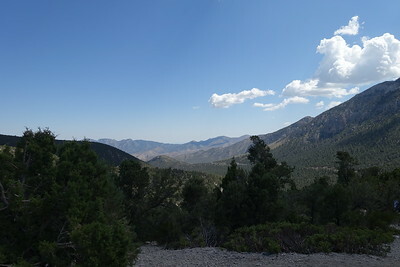 Oddly enough, not once the whole summer did I hear that Lee Canyon offers all sorts fun all summer long over the weekends. 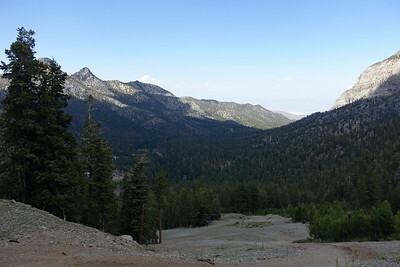 The chair lifts are open for scenic rides, there is a disc golf course, and Bristle Cone Bar & Grill. You can play corn hole, tether ball, horseshoes, etc. There is also a skate ramp that the kids had a ball running on. The season ends Sept 5. 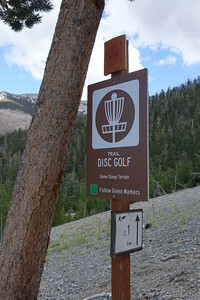 Had we known of it sooner, Frank would definitely like to play a round of disc golf, and I'd like to enjoy some beers on the patio. 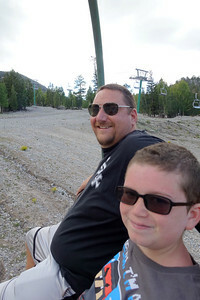 At least, we were able to take a ride on the chair lift ($12 adults, 12 & under, $6). 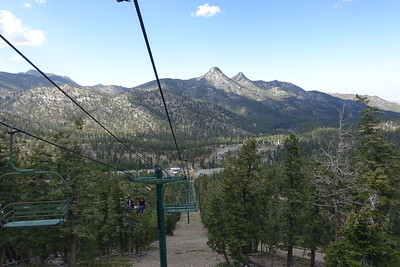 Every other seat has seat belt, it takes you up to 9,300 ft. You can hop off to soak in the view, hike or walk down, but you can also stay put for a leisurely ride. We hopped off, it was beautiful from the top, but also very steep if you tried to go higher. Many were successful, but not I, I'm afraid. My ankle isn't quite there. I made it a little ways up to check out the snow machines, which was a feat that would've been impossible a year ago, so I was pleased (and a bit sore the next day). Apparently, girls get wild up on the mountain, the trees were littered with bras and mardi gras beads. Nick was puzzled, and I'm not quite sure how it started, but it didn't keep us from keeping count and trying to spot as many as we could. The ride up, we had no seat belt. 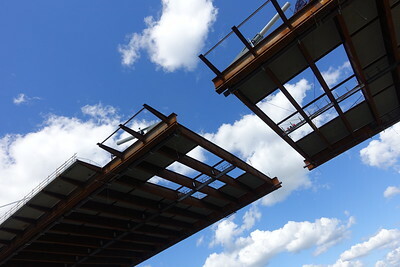 It was a bit sketchy, especially when we neared the top and they stopped the lift for those who need more time to exit. I thought it was wonderfully scenic, but my palms were sweaty. I'm never afraid of heights, but when I'm responsible for my sister's kids - Man, I sweat bullets. Nick requested we ride down with a seat belt, I wasn't about to argue. I admit, I was far less nervous on the way down. 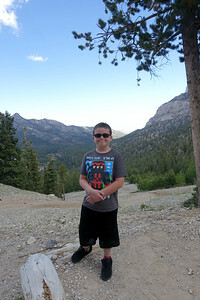 We needed to get back, and the resort area would be closing soon so we headed for home, but it was a great time. When I woke Sunday morning, I never guessed I'd be at 9,300 ft later that day, but that's just what the day had in store. I love making memories like these.